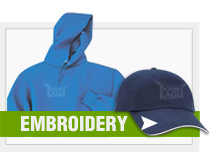 Double Eagle Embroidery is a one-stop shop for all of your Custom Embroidery, Screen Print and Promotional product needs! Located in Buffalo NY Double Eagle offers you the customer service of a small business with the capabilities of a large one! Whether you're a private club, professional association, small business, school sports team or large corporation, we can help you!! 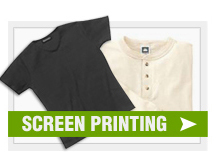 Since 2002 Double Eagle Embroidery has supplied Western New York with top quality Embroidered and Screen Printed apparel as well as other specialty products. With a talented staff coming from all areas of the Custom Embroidery and Promotional Products industry, Double Eagle Embroidery can meet any challenge and exceed your expectations! With fast turn-around times, competitive pricing and low minimums, Double Eagle is sure to become your go-to shop! 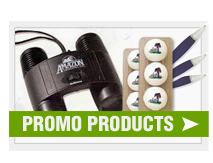 Please browse our site for ideas or check out our feature catalog and feel free to contact us with any questions, ideas, or special orders; we look forward to hearing from you!